I have decided to publish some names and photos of the Israeli military personnel who participated in the so-called “Operation Cast Lead”, the offensive launched by the Israeli Occupation Forces (IOF) on the Gaza Strip between 27 December and 18 January 2009. The names of these criminals called my attention since the first day of their criminal attack against the Palestinian civilians in Gaza. I consider each person who took part in this IOF and each one whose name appears in this report as a war criminal who should be requested by an international court of justice, just like all other war criminals who were persecuted before… The Israeli Attorney General Menachem Mazuz is conniving with others the war crimes committed in Gaza. These others are Ehud Barak, Ehud Olmert and his cabinet of criminals, and the military counterpart, Brigadier General Avihai Mandelblit. Chief of Staff Gabi Ashkenazi is equally involved in the war crimes in Gaza. The Attorney General of Israel asked his military counterpart to open a quick investigation among the military as an “alternative” measure to hinder potentially “hundreds” of international lawsuits against Israeli officials alleging war crimes against the Gaza population during the operation has been widely anticipated. There is growing concern in the offices of the Israeli justice and war ministries because they expect a massive wave of lawsuits for human rights violations against Israeli officers and politicians. The criminal intentions of Menechem Mazuz, namely helping to cover up war crimes of the State of Israel by giving an advice to the military, and by opening a “formal and internal investigations” is a clear fraud planned by the Israeli ministry of justice. Such a behavior is not that of a state, it is the behavior of a criminal organization trying to escape their well deserved punishment. The military censor of Israel is preventing the media from identifying officers who participated in the Gaza Strip IOF, and divulging information about them which could be used in legal proceedings against them in courts of justice abroad. There is great concern at the defense and the justice ministries that Israeli officers will be singled out in a massive wave of suits for human rights violations. In recent days the censor has forbidden publishing the full names and photographs of officers from the level of battalion commander down. It is assumed that the identity of brigade commanders has already been made known. The censor also forbids any reports tying a particular officer of battlefield command rank (lieutenant to lieutenant colonel) to destruction inflicted in a particular area. 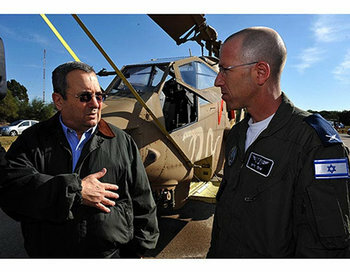 The Israeli war criminal number one, Ehud Barak, stated that the State of Israel bears the responsibility for sending IOF troops on missions in Gaza, as well as for defending civilians, and as such it is obligated to grant its full support to these officers and soldiers who participated in the IOF in Gaza. Barak said that no harm should come to officers and soldiers as a result of their involvement in the operation. The war criminal Barak ordered the IOF to set up a team of intelligence and legal experts to collect evidence related to operations in Gaza that could be used to defend military commanders against future lawsuits abroad. Maj. Gen. Ido Nehushtan, a war criminal, Commander of Israeli air forces which lead all the operation of destruction with tons of phosphorus bombs. 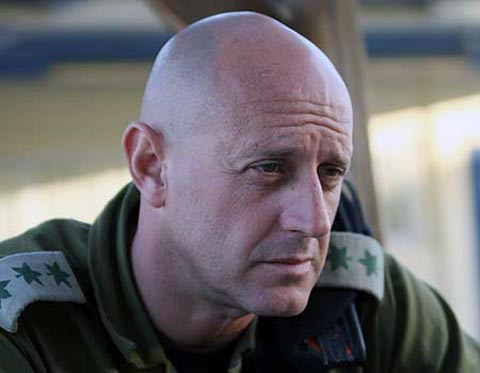 Colonel Ron Ashrov, a war criminal, Commander of the Northern Gaza, deputy to the Givati Brigade. Brigadier-General Eyal Eisenberg – Commander of all the IOF war criminal forces of “Operation Cast Lead” were under his command in Gaza Division. He personally participated in the war. He commanded the operations, in which Armored and Engineering corps units, as well as infantry soldiers were taking part. Eisenberg also commanded a division during the Second Lebanon War. Colonel Yigal Slovik, commander of 401st Armored Corps Brigade convoy, entered Gaza in a Merkava tank from Netzarim and he did not stop until it reached the coast. He murdered the Palestinian civilians who raised the white flags, and he destroyed many houses over the head of the people. The brigade units also conducted numerous raids targeting public infrastructure. Sho’alay Marom, Brigadier (res. ), razed to the ground hundreds of houses in Rafah, and in Jabalia. 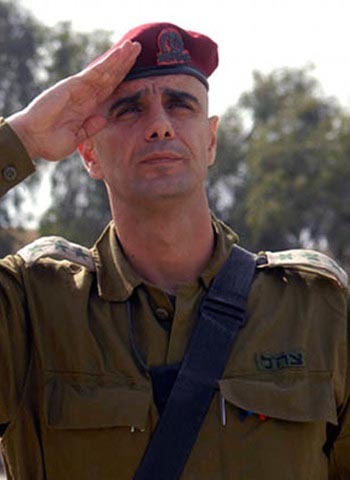 Lt. Col. Yoav Mordechai, he served as a commander of the criminal Golani infantry brigade’s 13th Battalion in Gaza and in the “second Lebanon war”. He attacked the Tel al-Hawa neighborhood, where hundreds of Palestinian residents who had fled on foot were murdered under his instructions. In one well-known incident, about more 150 Palestinian civilians were gathered by the IOF in a house, and then the house was bombed and shelled. Lt. Col. Yoav Mordechai is a friend of the PA, and it is known that he coordinated his crimes with the PA.
Lt. Col. Oren Cohen, a war criminal, commander of Battalion 13 in the Golani Brigade, who led on night his troops into eastern of Gaza City, they murdered over hundred Palestinian. He was moderately wounded by the Israeli war criminal friends. Cohen and his soldiers operated during the second Lebanon war. Lt. Col. Avi Blot, a war criminal, commander of the 101st Battalion in the Paratrooper Brigade. Lieutenant-Colonel Yehuda Cohen, battalion commander in Givati infantry Brigade’s Rotem Regiment, a war criminal in the second war in Lebanon, and a war criminal in Gaza. Lieutenant-Colonel Ronen Dagmi, deputy commander of the 401st Armored Brigade which operated in “Operation Cast Lead” in Gaza. Col. Avi Peled, a war criminal, a commander brigade in Battalion 51 who operated in Gaza during “Operation Cast Lead”, and he was operated during the second war of Lebanon. Brig.-Gen. ( res.) Zvika Fogel, a war criminal, a former deputy OC Southern Command in charge of artillery fire for Operation Cast Lead. Zvika and his son Zivi Fogel participated in “Operation Cast Lead” in Gaza. Brigadier-General Yuval Halamish, Chief IOF Intelligence Officer, participated in “Operation Cast Lead” in Gaza. Col. Hertzi Halevy, brigade commander, a former Sayeret Matkal, commander of the Israel Paratroopers’ Brigade in Gaza, committed war crimes in Gaza during “Operation Cast Lead”. 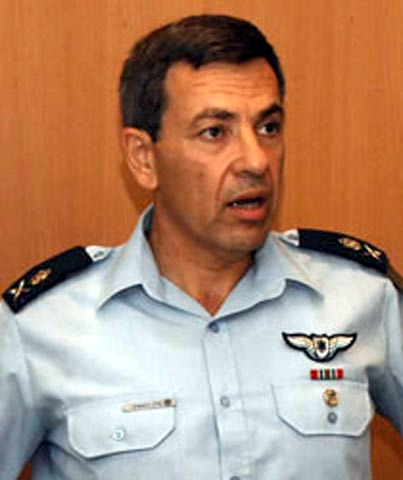 Col. Tomer Tsiter, a Givati squad commander from Ra’anana, participated in the massacre in Gaza during “Operation Cast Lead”, and previously he participated in the massacre “Operation Defensive Shield” in the Jenin refugee camp in 2002. Gur Rosenblatt, infantry reserve officer, participated in “Operation Cast Lead” in Gaza. Guy Ohaion, infantry reserve officer, participated in “Operation Cast Lead” in Gaza. Lt. Col. Erez, armored corps, tank commander, participated in “Operation Cast Lead” in Gaza. Maj. Nimrod Aloni, participated in “Operation Cast Lead” in Gaza. Lieutenant Colonel (res.) Shlomo Saban, participated in “Operation Cast Lead” in Gaza. Capt. Ron Vardi, a war criminal, participated in “Operation Cast Lead” in Gaza. Lieutenant-General Gabi Ashkenazi, IOF Chief of Staff, whose father was a holocaust survivor from Bulgaria and whose mother was born in Syria. This moral degenerate is the engineer of this new holocaust in Gaza. He committed war crimes in south of Lebanon. Three of his soldiers were captured by the Hizbullah resistance after they illegally crossed into Lebanon as a provocation ordered by him. Major-General Yoav Galant, southern command chief. He was the chief commander in charge of “Operation Cast Lead”. He personally participated in the massacre against civilians in Gaza. Richard Awizrat, Senior Warrant Officer, participated in “Operation Cast Lead” in Gaza, and he also participated in the massacre in Jenin of 2002, during “Operation Defensive Shield”. Major General Amos Yadlin, Military Intelligence chief, participated in “Operation Cast Lead” in Gaza. Ehud Olmert, the corrupt Israeli Prime Minster legitimized the War in Gaza together with his cabinet. Ehud Barak, Israeli War Minister, planned “Operation Cast Lead” in Gaza in order to improve his chances during the next elections. The names of many other war criminals from the infantry, tanks, combat engineers, artillery, and intelligence who participated in the war crimes in Gaza are still unknown. They should not feel safe either. War crimes, crimes against humanity and genocide are proscribed and prosecuted in all countries of the world in one way or other, and there exists no statute of limitations for such crimes. The “protection” offered by Mazuz and his cronies is weak, first of all because the fact that such “protection” is offered is a implicit admission of guilt, and because national and international statutes specifically address the issue of sham “proceedings which are instituted to protect the guilty”, and because since the Nuremberg proceedings against the German army, following orders is no excuse and does not absolve of culpability. We and others will continue doing whatever is possible to find out the names of as many of the criminals who participated in Gaza as possible, and any information which will put them behind bars. Read and See more Photos About the Israeli War Criminals here. Yuval Diskin, Shin Bet security service chief, the organizer of the war in Gaza. Due to his personal recommendation, the IAF bombed the hospitals and the medical centers of Gaza. 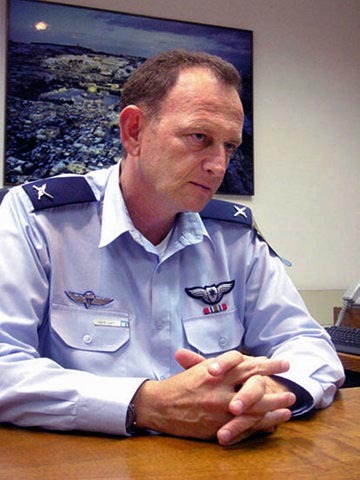 Brig Gen Jonathan Locker, head of Israeli air forces which operated in Gaza. My decision is a challenge to the State of Israel, to the Israeli attorney general Mazuz and the military headquarters, who forbade the media from publishing the names of the Israeli officers who lead “Operation Cast Lead” in Gaza, murdering 1310, and wounding over 5600, over 90% of these casualties being civilians, destroying public and the private property in many parts of towns and cities, and completely razing several areas completely to the ground.